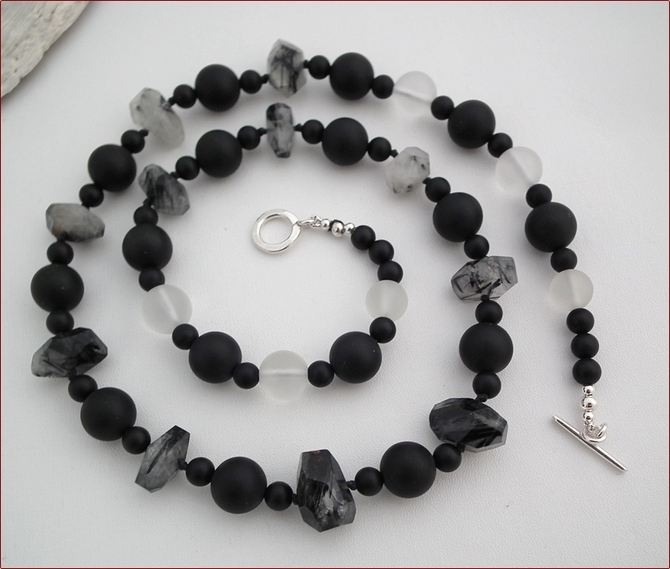 Tourmalinated Quartz with Black Onyx Long Knotted Necklace. 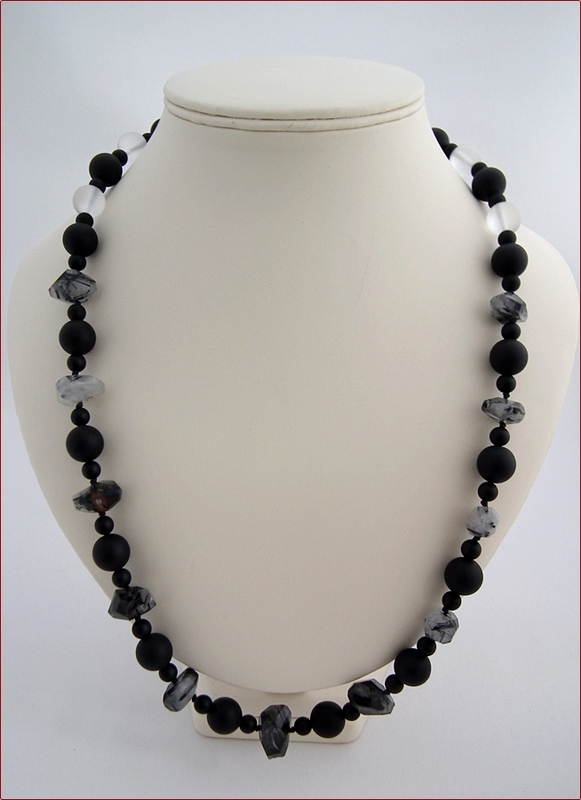 This is a nice long necklace (26"/665mm) of chunky tourmalinated quartz knotted with matt black onyx stones n size 12mm and 4mm and matt quartz in 10mm. 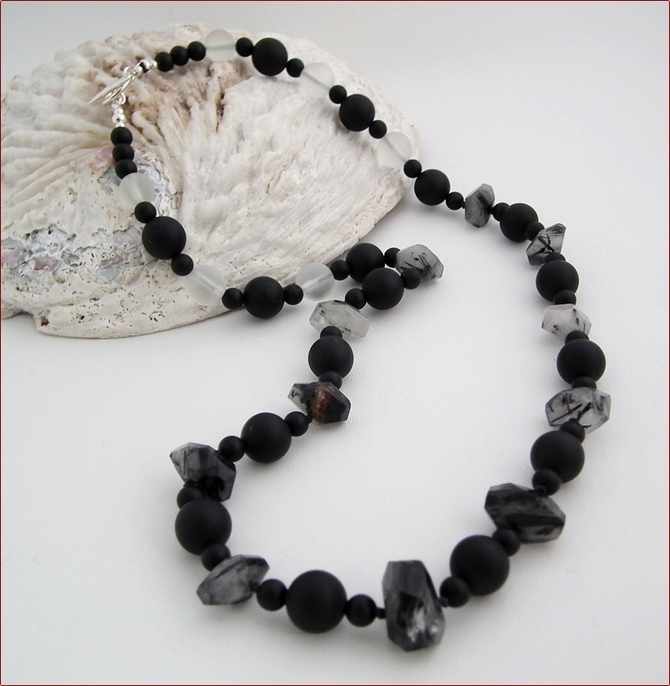 I've knotted either side of the tourmalinated quartz stones to give the necklace strength and drape. I've put it in the Seascape collection because it reminds me of the black broken groynes that stretch into the sea on the coasts around here and where, on an overcast day, the sea seems to merge into the sky. 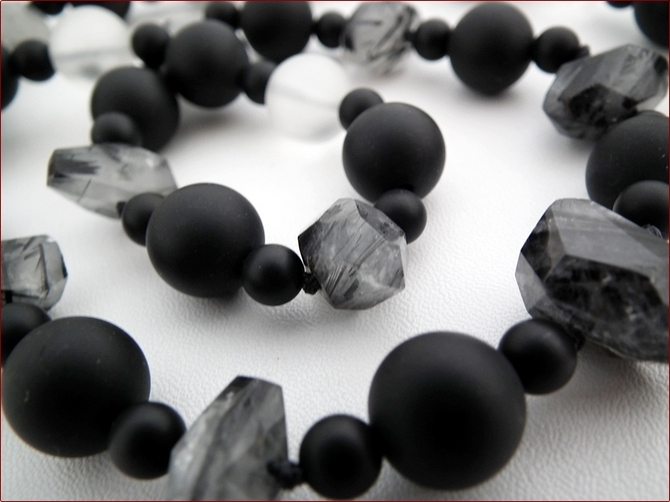 But enough of that - this is a great necklace to wear with practically anything. 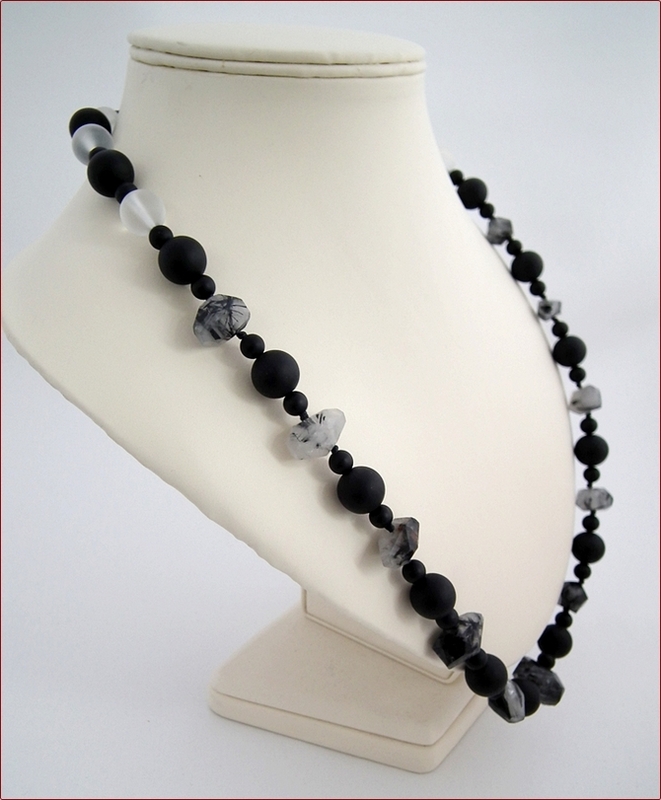 And as it's so easy - you can just pop it over your head, despite its having a sterling silver hammered toggle clasp - it's a necklace that you will wear a lot.